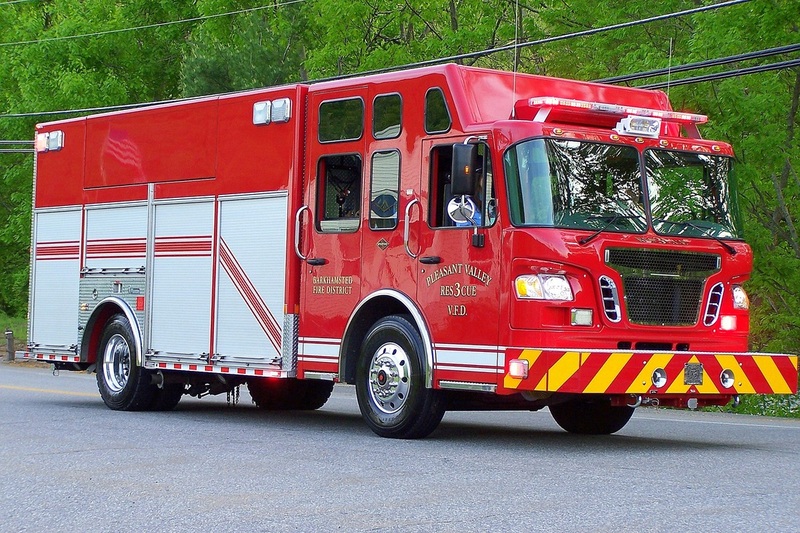 This is the page for the Pleasant Valley VFD. They have 2 engines, 1 rescue truck, 1 utility truck, 1 station. 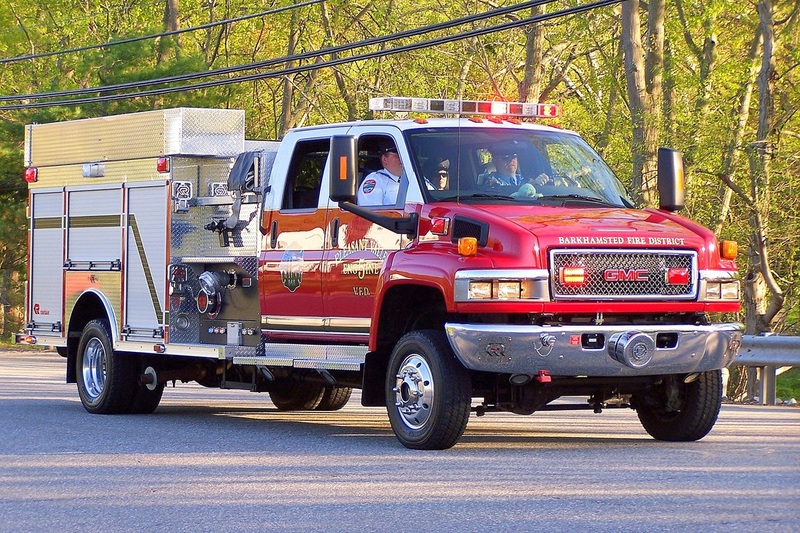 I have pictures of everything except Engine 1, the station and the utility truck. 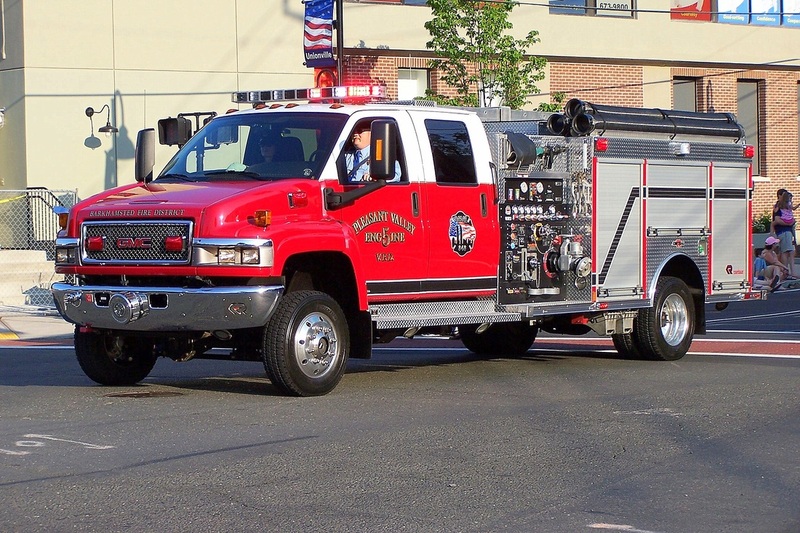 Pleasant Valley's Engine 5, a 2009 GMC/Rosenbauer mini pumper. 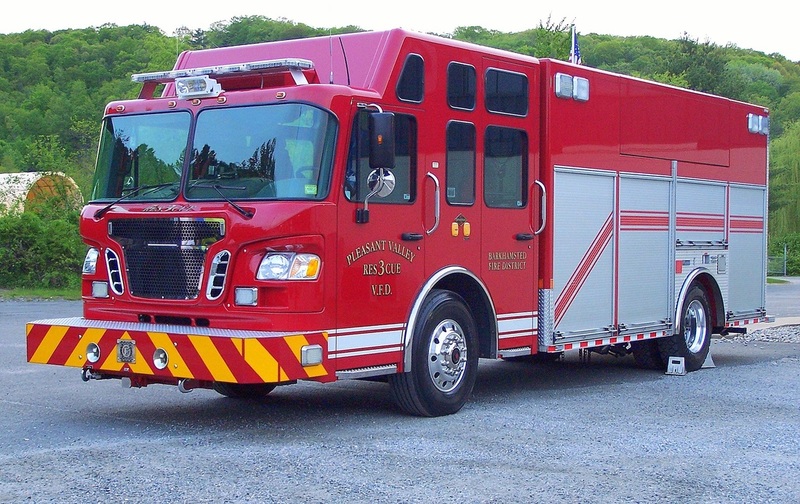 Pleasant Valley's Rescue 3, a 2005/or 2009? Spartan/Marion.